ISLAMABAD, Feb 10 (APP):Pakistan and Lebanon Sunday agreed to enhance the volume of trade between them with Prime Minister Imran Khan inviting the Lebanese companies to invest in the country. 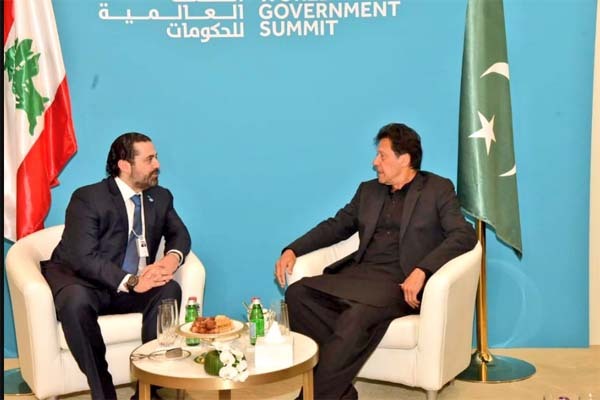 The bilateral ties were discussed during a meeting between Prime Minister Imran Khan with his Lebanese counterpart Saad El-Din Rafik Al-Hariri, on the sidelines of World Government Summit in Dubai, said a PM Office statement here. Prime Minister Imran Khan said he stood in solidarity with the Lebanese people in the challenging times and admired the efforts of Lebanese government in ensuring the stability and security of the country.